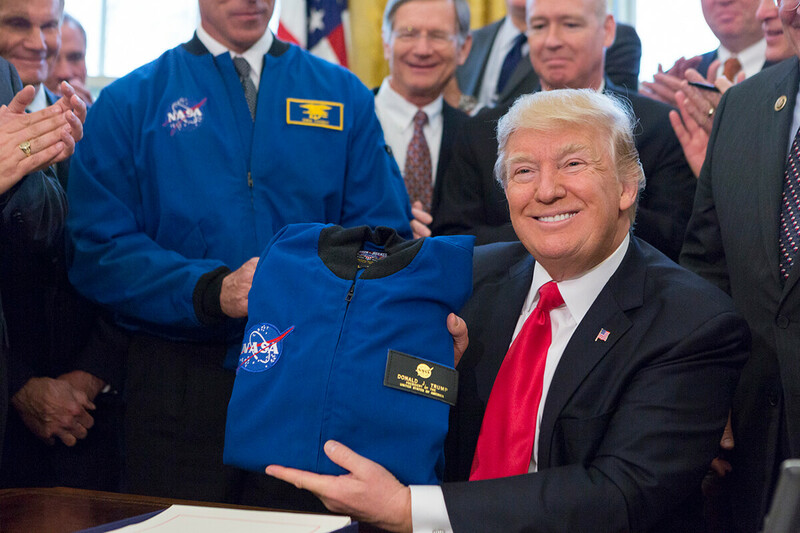 WASHINGTON — U.S. Sen. Gary Peters is skeptical about President Trump’s plan to establish a space force as a new branch of the military. The Michigan Democrat told top Trump administration military officials at a hearing Thursday that he was wary of the idea, as senators on both sides of the aisle expressed concerns that the new force would add an unnecessary layer of bureaucracy. “I don’t think there’s any disagreement from folks on the committee that space is something that we need to focus a great deal on,” said Peters, who serves on the U.S. Senate Armed Services Committee. Military officials appeared on Capitol Hill to make a pitch for Trump’s plan. They told lawmakers that while the United States currently has a competitive advantage in space, nations including China and Russia are looking to exploit U.S. vulnerabilities. And they urged lawmakers to support a new program within the Air Force that focuses exclusively on deterring threats in space. U.S. Sen. Angus King (I-Maine) said his impression was that the military was “doing a good job” already. The military officials suggested that it was a matter of time before the United States would need such a centralized force. “None of the ideas I’ve heard today clearly spell out how a space force leads to improved security in space,” said U.S. Sen. Elizabeth Warren (D-Mass.). U.S. Sen. Joni Ernst (R-Iowa) wondered whether the proposed approach was the best option. “I guess we need some convincing that there is a necessity for a sixth branch within our armed services,” she said.